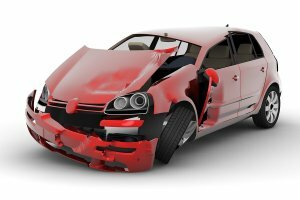 What Injuries Are Most Common After Car Crashes? Car crashes can inflict injuries on any part of the body. Even minor fender benders can result in serious injuries and chronic symptoms. After calling the emergency dispatcher and filing a police report, it’s essential to get to the nearest hospital—even if you don’t think you’ve suffered serious injuries. The adrenaline your body releases during a crash can camouflage symptoms, which means your injuries may not be immediately evident. Seeking medical care is also imperative because your personal injury lawyer can use your medical records to substantiate your claim. After you’ve received medical care, get in touch with accident attorneys in Riverside, CA to discuss your legal rights and options. Whiplash is one of the most common injuries that accident attorneys see in car crash victims. Whiplash primarily develops in victims of rear-end collisions. It refers to damage of the tendons, muscles, ligaments, and nerves of the neck. Sometimes, car crash victims also suffer injuries of the intervertebral discs. The symptoms of whiplash—which typically include neck pain, stiffness, and reduced range of motion—may not develop until a few days after the crash. If you’re diagnosed with whiplash, be sure to inform your auto accident lawyer of any changes in your health status while your claim is pending. A personal injury case that stems from an auto accident may involve a traumatic brain injury (TBI), which can range from mild to severe. A mild concussion or TBI may cause disorientation, confusion, brief loss of consciousness, headache, fatigue, dizziness, nausea, and vomiting. Even when symptoms are mild, victims are generally advised to stay home and rest until the symptoms are completely resolved. A severe TBI can result in extensive losses. Victims may be in a coma, minimally conscious state, or vegetative state. Victims may suffer from seizures, intellectual impairment, paralysis, behavioral changes, communication impairment, and sensory problems. For some, the complications of a traumatic brain injury last a lifetime. Chest injuries are quite common in car crashes. Although seatbelts and air bags can save lives, they can also inflict injuries when a person is forcefully thrown against them. Drivers may suffer chest injuries if they strike the steering wheel. Chest injuries can range in severity from minor contusions to broken ribs or internal organ damage.